Joyfully welcoming back my old friends, the May flowers. 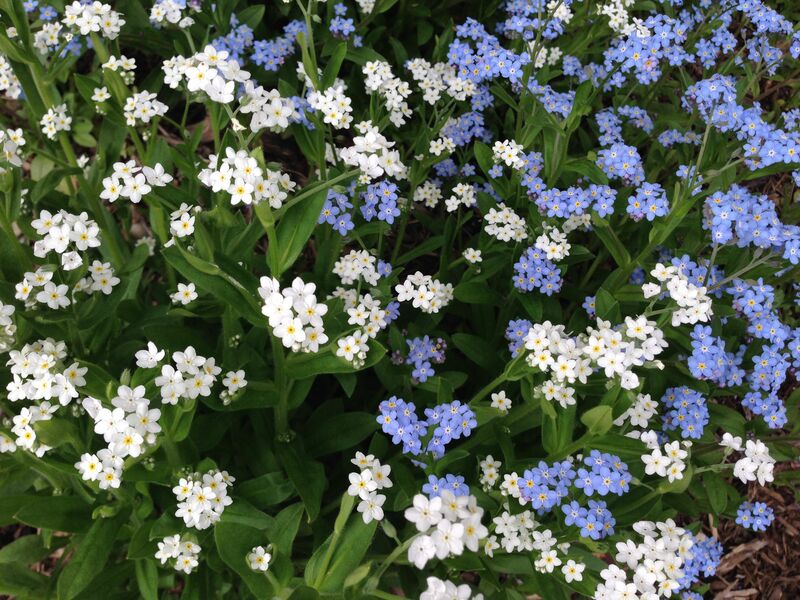 Forget me nots. They have done very well this year, popping up as volunteers in all sorts of unexpected spots. We only have the blue and the white–no pink. 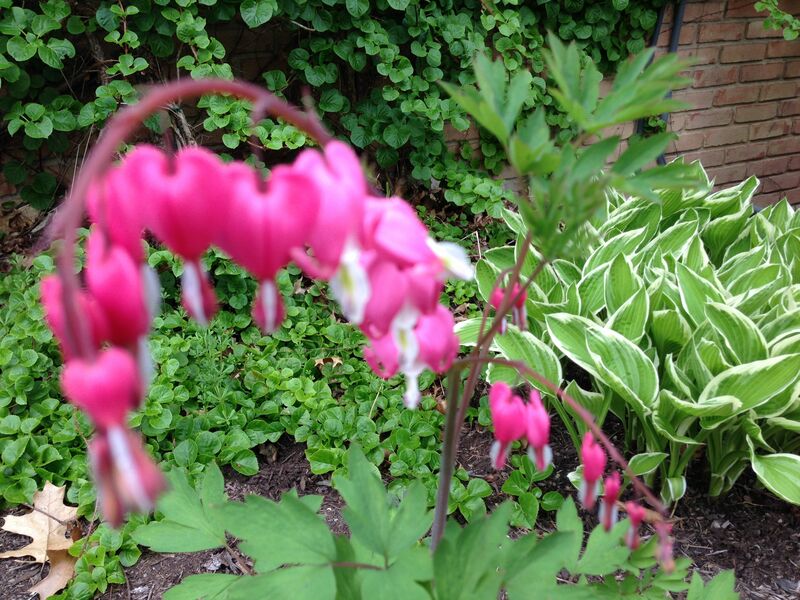 Well, the camera wanted to focus on the greenery in the background, not the bleeding hearts. But I love my hostas too. 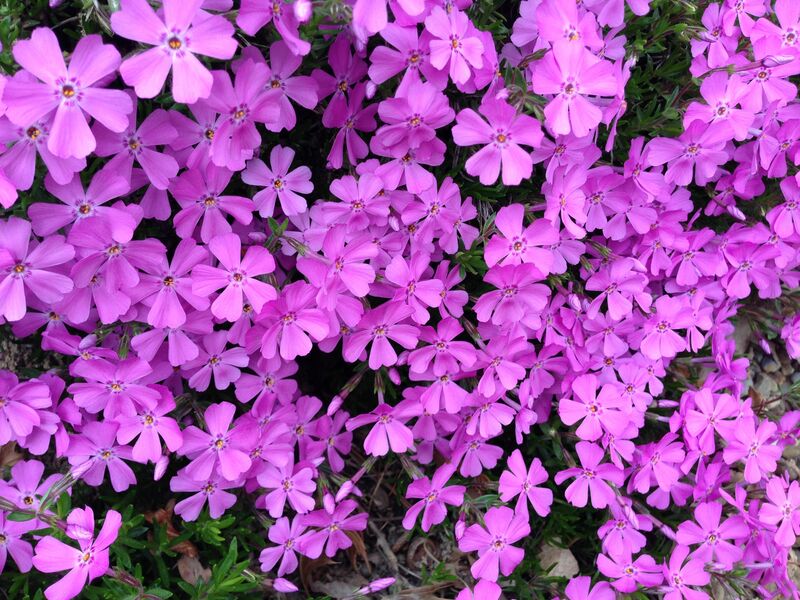 We have this single small patch of phlox. I’d like to plant a few more. It only blooms once a year, and briefly, but what a show it makes! So true. We have a pergola but don’t use it often enough!